ive just leared of the little oddity known as "marx tv tennis". its an electro mechanical pong console, I never would have guessed such a thing existed. 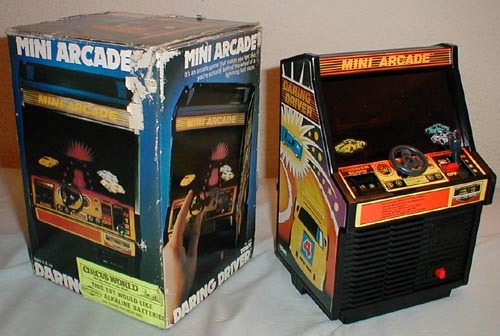 I know electromechanical arcade machines were popular before affordable displays became avalible, and ofcouse in timeless classics like pinball and skiball, but never had heard of such technology in a home console. does anyone know of any other electromechanical home consoles? odd isn't it? you know, in that I must find one now kind of way. Blip was one. The were popular back in the day, so they can be had quite affordably now. 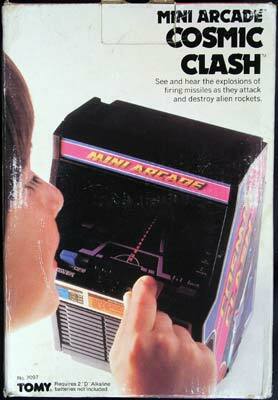 It had batteries for the LED, but the action was all mechanical. You'd twist the wind-up spring via the plastic dial, and when you hit the "serve" switch the LED ball would take an unpredictable path across the playfield, and your opponent would need to decide which of the three buttons he'd need to hit to return it back to you. It was good quick fun against an opponent, though if you were both good you could rally back and forth for a while, sometimes until the spring ran down. There was also a one player mode too, but that was a bit less interesting. Sort of like 1 player Pong. So it was clockwork? that is awesome! Yup. It was all plastic gears, levers, and awesomeness. Always had a thing for electro mechanical toys. I considered tv tennis a console because it was a rip off of pong, which is a video game, and represents it through an electromechanical mechanism. I remember marx and I belive tommy driving "simulators" from when I was a kid, but I would consider them to be electromechanical toys, rather than dedicated consoles with integrated displays. still I didn't know they made them as far back as the 50's, must have been amazing at the time really. I have a Tomy Terra Hit. build in 1979 according to the label on the back. It does not run on wind-up but on electric motors. I am genuinely impressed by the moving lightbulb that is the missible and the rather good "collision" . Both of these used batteries for lights and/or sounds. I guess that would be the closest thing to a video game back in the day. 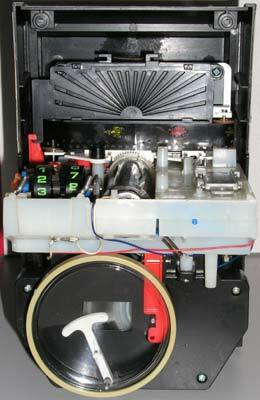 I found some of those Tomy electro mechanical mini-arcades (from the website http://www.handheldmuseum.com/Tomy/). 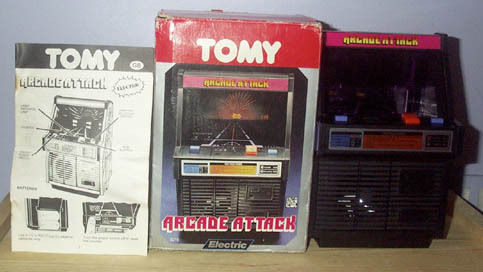 after digging around a bit it seems tommy made a slew of wind up and electro mechanical handhelds under the "pocket arcade" line. those mini arcades are pretty sweet looking to, check out the internals of cosmic clash. not as complex as the wind up games for shure, but its still very interesting. @dragonstomper - that flying fox man, wow. just wow. I am really enjoying this thread, especially the flight simulators -- other than Blip, I have never seen any of these games. 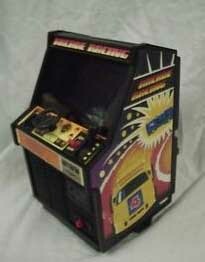 When were the Tommy mini-arcades sold in stores? Early-1980s? Also one of the 80's Tomy pocket pachinkos was a lot more impressive than the rest. Here's one thing I don't get--many of the early 80's games replicated the primative graphics of home console games. Black and white blocky outlines instead of beautiful full color. I never figured out why. Heck, there wasn't even a need for them to be flat. Edited by Reaperman, Tue Dec 3, 2013 6:29 PM. We've had a thrashed one of those Jimmy Jets at my work for years. If handhelds count I had a baseball one as a kid. I figured out how to cheat at it because if you didn't push the levers all the way you coult just barely engage the clockwork and make it run slowly. Here's the Marx one in action.. pretty interesting. Although it looks a bit different than it showed in the old Sears catalog..
Edited by NE146, Fri Jun 30, 2017 6:01 PM. 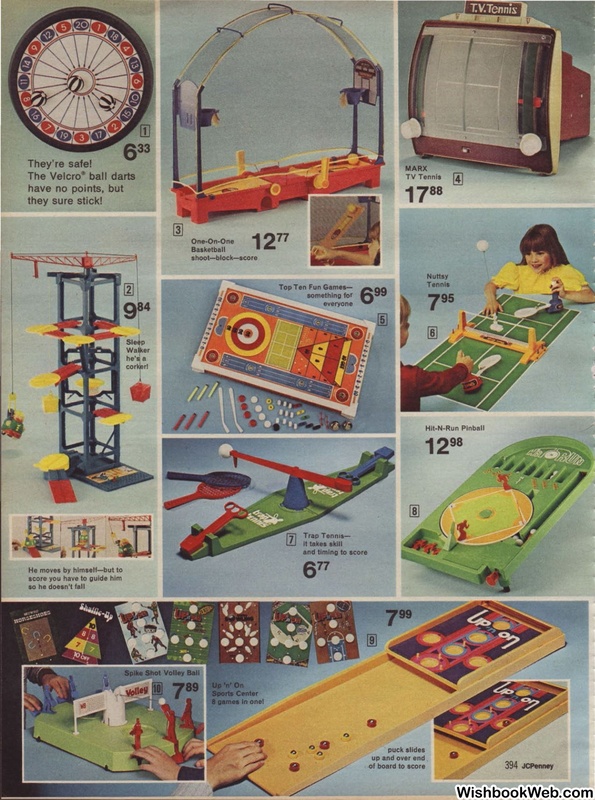 What about those little table pinball games like the Tomy Atomic Pinball? They could probably fall under this umbrella right? I have two of those like the one linked in the Youtube video. There are a couple of different versions out there of the Marx model. I actually had one of these when I was little. Not sure what happened but one day it just disappeared. Fast forward a couple of years, found the name of it through a Christmas catalog... picked up one Ebay that was non-working (motor was that drives the spindle was sticking) and got it working. 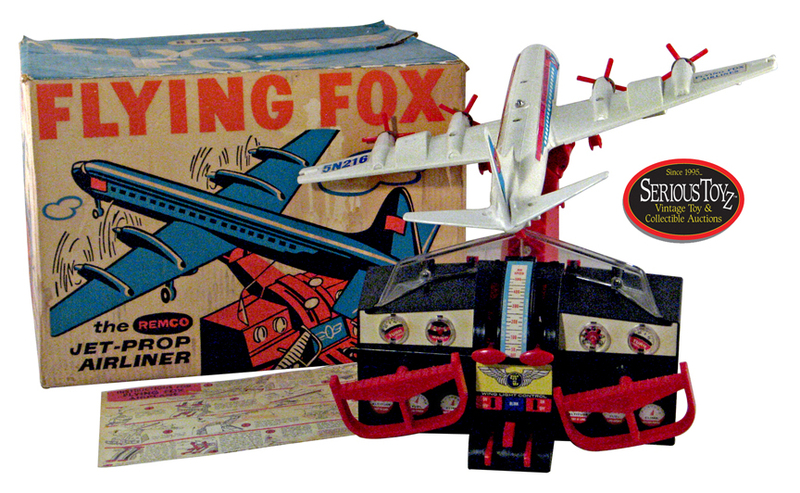 I have one of these in the box I found at the now defunct Riverside Antique mall years back. Should get it out and see if it still works! I had that Blip! game a couple years ago I found at the flea market but it didn't last long, wasn't all that fun and then it up and stopped working from old age. I think the motor quit. LOL that Marx pong game it looks like a crt. 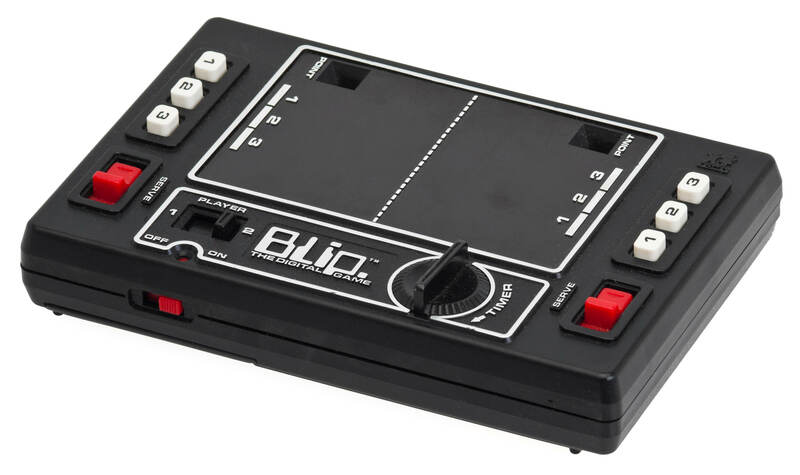 I'm surprised Blip is talked about as much as it is.. it's a game I thought everyone had in the 70's since the commercial played constantly. It was great but the only problem with it is you could memorize the order in which ball came to you so games got pretty non-competitive between 2 players once they learned the pattern. Still pretty cool though. 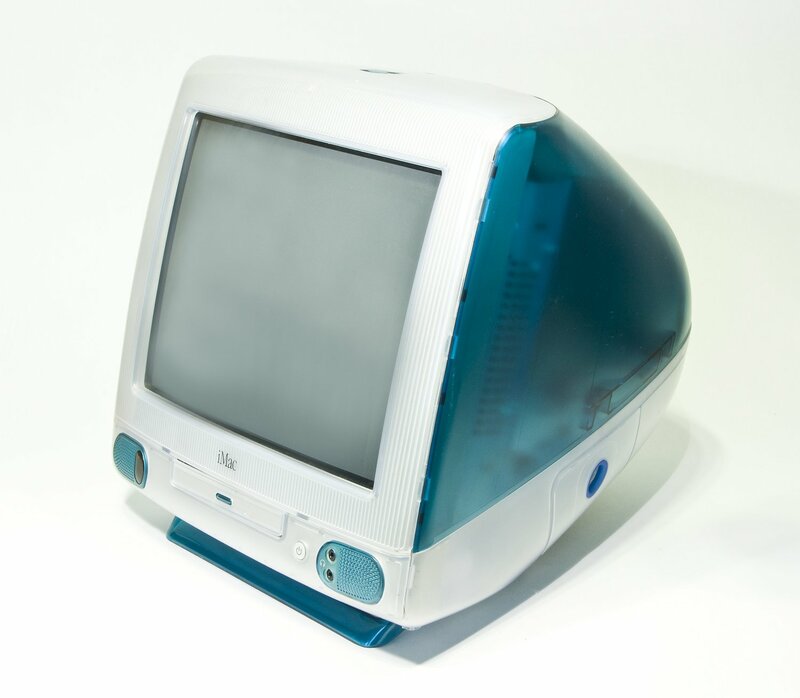 It looks like an old iMac.